The story behind David Bowie's unusual eyes. David Bowie attends 17th Annual Grammy Awards on March 1, 1975 at the Uris Theater in New York City. After David Bowie’s death on Sunday from cancer, this week we’re remembering a genius musician with a gift for showmanship. Part of his stage persona revolved not just around his vivid makeup and incredible gift for music, but also for his magnetic, almost eerie pair of eyes: one clear blue, the other a moody black. 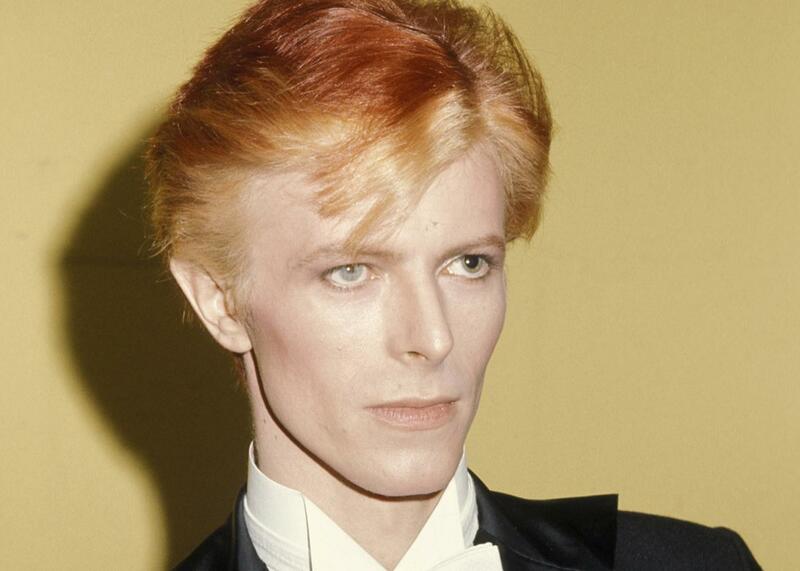 What gave Bowie’s eyes their hypnotic dual colors? As Kevin Hunt reports for the Conversation, some people mistakenly assume it was caused by heterochromia, a condition in which a person has two different iris colors. It’s hereditary and usually harmless, and the condition is in fact much more common in dogs, cats, and horses. Heterochromia can be expressed as two outright different colors, like actress Kate Bosworth’s hazel right eye and blue left eye, or a variegation of an iris color, like Mila Kunis’s, which are a lighter brown in one eye and a darker tinge in the other. But Bowie’s case was different. His eyes were the product not of genes but a teenage fistfight that resulted in anisocoria, a condition in which a person’s eyes have different-size pupils. In the spring of 1962, Bowie got into a fight with his school pal—and, later, lifetime artistic partner—George Underwood. Bowie, it seems, was in the throes of teenage love, and his best friend in school, Underwood, not only was crushing hard on a girl but found out Bowie was similarly enamored with the same girl, too, when the singer began “boasting to my mate [Underwood] about what a Casanova I was,” he told biographer Mark Spitz in an interview. As the story goes, Underwood wasn’t exactly pleased, and in fit of passion reportedly punched Bowie smack-dab in his left eye. “At first he [Underwood] thought I was kidding,” Bowie recounted to Spitz. “It wasn’t a very hard punch but obviously caught me at a rather odd angle.” Underwood’s fingernail had scratched the surface of Bowie’s eyeball, paralyzing the muscles that contract the iris. When a person with typical, uninjured eyes stumbles into light, of course, their pupils contract and become smaller, showing more of their iris. In darkness, the pupils expand and do the opposite to allow as much light in as possible so you can get into bed without tripping over an errant object on the floor. In Bowie’s case, his left pupil remained permanently expanded, leading to his famous pair of blue and black eyes. Bowie was able to further use these to full effect thanks to his major case of red-eye, since photograph flashes bounced off his dilated pupil. And despite the fistfight, the boys’ relationship healed: The two became lifelong friends and artistic collaborators.